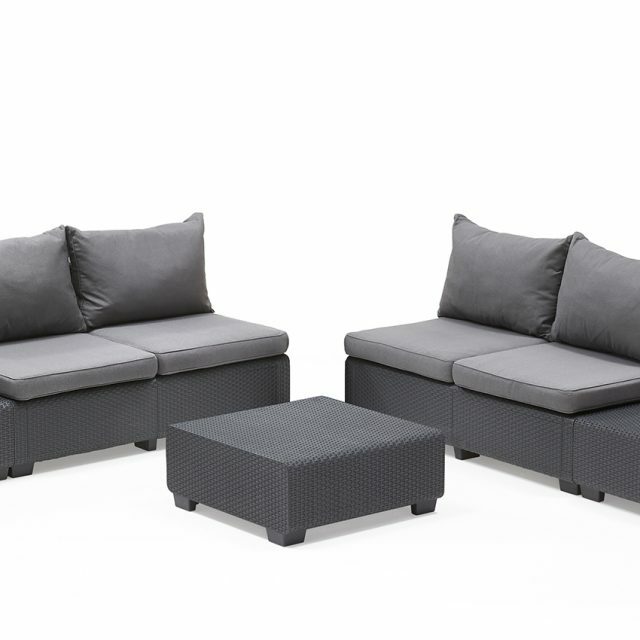 The Sapporo Lounge Set brings style and comfort into your outdoor living space thanks to its wicker texture and wide seats that come with plush cushions. Made with a modular design, the layout of this lounge set can be easily adapted to suit different needs. The weather-resistant resin protects the two 2-seater sofas, two tables, and footstool against the elements, making them resistant to rust, rot, and decay. Adapt the lounge set elements to your garden. The convenient modular design gives you endless possibilities. The footstool is the perfect extension for putting your feet on or to use as a extra seating. Deep fill cushions and wide seats ensure more comfort. 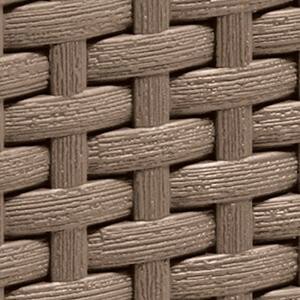 Durable and stylish, no concessions with the all weather-resistant resin combined with the polished flat wicker texture.